And so the era of 4e softcover splat books begins with the release of “Player Handbok Races: Dragonborn”, a $9.95, 32 page fluff-filled primer on playing as a Dragonborn. As a DM, there’s some good use you can get out of this book, so lets get to that. The good thing about this book is that although it is aimed at players, it will not be wasted in the hands of a DM who plans on incorporating Dragonborns into his repertoire of NPC’s and locations. The book begins with a bit of fiction showing a party assaulting a vault occupied by members of a cult devoted to Tiamat. The Dragonborn in the group is a paladin, and the story does a good job of getting inside the mind of a good aligned dragonborn facing this type of situation. It’s also a fight scene, so you can get ideas for narrating your own fight scenes in your games. We then get some more fluff, this time dealing with their creation, Io, the Dawn War, and more stuff that ties in to the 4e assumed setting. The fall of Arkhosia, the Dragonborn’s ancestral home is also covered, along with a sidebar covering what possible ruins of that empire may look like. This is all good stuff for a DM who is running a Dragonborn-centric campaign. Family and clans are covered as well, and 4 clan backgrounds are introduced, giving players the typical bonuses to skills and languages associated with choosing a background. 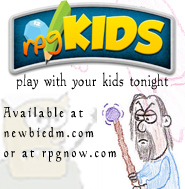 A sidebar on Dragonborn names expands on that section in the PHB, introducing clan names, childhood names, and family names. Next, the book touches on Arcane, Divine, Martial, and Primal Dragonborn, and introduces backgrounds and a Paragon path for each. It also tells players what the best class combination is for each power source, based on their ability scores. While this section is obviously a player-heavy chapter, the book does sort of give you an idea of how these classes fit into the world, and you can use this as a way to learn how to make classes fit your particular campaign. The rest of the book has a couple of feats and items for Dragonborn players to use with their characters, along with 14 different quests sprinkled about for each tier of play. The book ends with an Epic Destiny for Dragonborn pc’s. This book is meant not as a rule book, but rather as a guide on Dragonborns as a race. 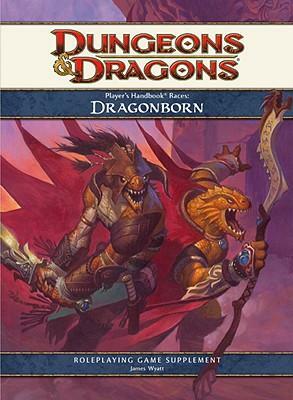 I think this book is a good book for players who really want to get into character with their Dragonborn. It does give you a better feel for how they think and act. And like I said earlier, as a DM, you can certainly use this book when introducing NPC’s and locales. If your campaign barely has Dragonborn, or you just don’t plan on bringing them into your NPC catalog, then you’ll see little use out of this game outside of maybe the few magical items it introduces. There is some recycled artwork in the book, the pages are bound together with staples, and it feels more like a pamphlet; but for $10, if Dragonborn are or will be in your game, it’s not a bad deal. Thanks for yet another great review man! I picked up the manual of the planes book sunday instead of the underdark book based on your review! I would love to see them do one of these for the goliath race, but I’m not holding my breath — we’ll see elves, humans, dwarves, etc. long before goliaths. Great review, btw! You may… I think the less traditional races will get this type of book first… Dragonborn, Tieflings are next… and then we’ll see. Everyone knows elves and dwarves already… I think exposing the newer, less traditional races is the intent here. Goliaths may fit that bill better than you think. Your lips to WotC’s ears! sounds like this would be ideal as a PDF… oh well. It feels cheap to me, especially after the Races series of books for 3.5. Those were books that I loved, and they got deep into the cultures of each of the various races. The other option I would prefer is one book that contained all the PH1 races. At 32 pages each, it would still be a small book. Thanks for the great review. Since my youngest son is into dragonborn, I guess I’ll be getting my hands on a copy sooner than later.